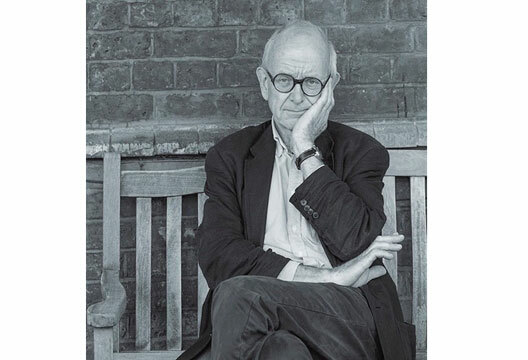 "As mysterious as the starry sky above me"
To mark his nomination for the 2015 Wellcome Book Prize, we present an extract from a forthcoming article by Consultant Neurosurgeon Henry Marsh. Brain surgeons must often manipulate the brain and sometimes remove parts of it. The surgery involved is often much cruder than popularly supposed. The brain has the consistency of jelly – it seems something of a cruel miracle that thought and feeling, an understanding of quantum mechanics, love, hatred, the obscure and lengthy utterances of NHS management, Beethoven’s late quartets and First Division football all derive from this stuff. When operating there is a constant struggle between wanting to get on with the operation and knowing that you should handle your patient’s brain with the same respect with which you would want your own brain to be handled. 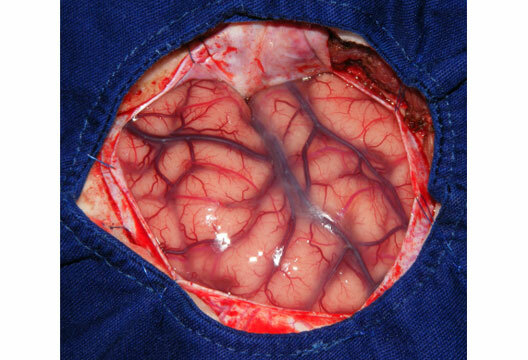 Brain surgeons must resist the temptation to handle it as ‘just another organ’, yet it is impossible to see the brain as anything other than matter when operating on it. That’s not to say the physical matter of the brain is not a wondrous thing. I became entranced by neuroscience as a second year medical student. When I saw my first cerebral aneurysm five years later as a junior doctor, I knew immediately that all I had ever wanted to be, without realising it, was a brain surgeon. I shared the common misapprehension that seeing the exposed, living human brain – and operating on it – would in some way explain the great mysteries of existence and make me preternaturally wise. At first, as a trainee surgeon, I was too pre-occupied with learning how to operate to think much more along these lines. When I became a consultant, the burden of responsibility for my patients’ lives left little time for philosophical speculation. I am certain, though, that I have never doubted the material nature of thought and feeling. You cannot see people whose very personality and moral being has been altered for the worse by damage to the frontal lobes and maintain belief in some kind of mind or human soul separate from the brain – at least if you do you must exercise extreme cognitive dissonance. In recent years, however, as my career reaches its end and the pressures of work have lessened, I have come to understand that dealing with the brain as a physical entity on a daily basis has taught me only one lesson – that the brain is indeed infinitely mysterious. The scientific view of the world cannot even begin to explain how consciousness and subjective feelings arise from the electro-chemical activity of nerve cells. This does not downgrade thought or free will or moral judgement but instead upgrades matter into something rather wonderful, which we do not understand. I cannot believe in an afterlife but I find this great cloud of unknowing – that my own consciousness within me is as great a mystery as the starry sky at night above me (to borrow from Kant), and in some ways just as important – very consoling. - Henry Marsh CBE, MA, FRCS is a Consultant Neurosurgeon at St.George’s Hospital, London. His 2014 book, Do No Harm: Stories of Life, Death and Brain Surgery, has been shortlisted for the Wellcome Book Prize. This is an extract from a forthcoming article in The Psychologist, 'Better not look down', where he shares his thoughts on psychology and the brain from more than four decades as a brain surgeon. It is due to be published in the June issue.